Siberia has never hosted a sport event of such a scale. For Krasnoyarsk, hosting the Universiade is an honour, a responsibility and a unique chance to show its Siberian spirit and hospitality to the whole world. We will deliver the Games that the world has never seen. 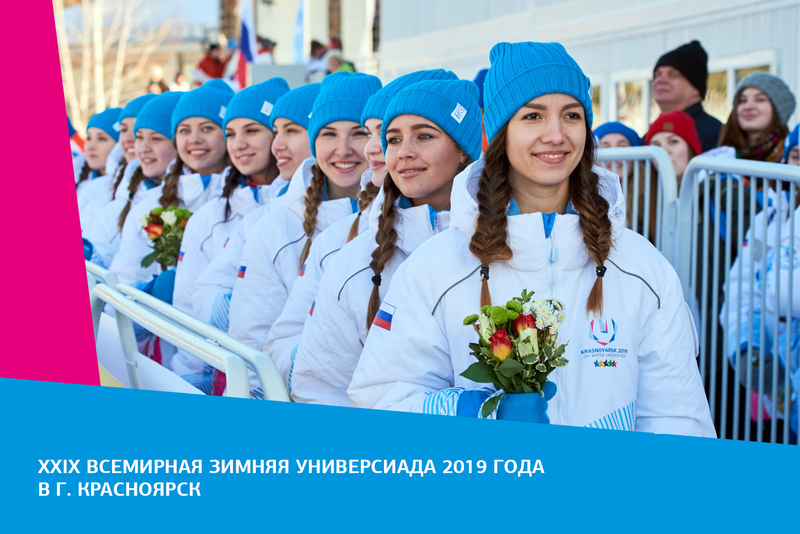 In the centre of Russia, participants and guests of the Winter Universiade 2019 will take part in an exciting festival of sport to discover such a far-away, mysterious Siberia in its winter splendour. Over 3 050 sports delegates from more than 50 countries will take part in the Winter Universiade 2019. They will compete for 76 sets of medals in 11 sports. Around 110 000 people are expected to attend the Games. Over 15 000 people will be involved in the Winter Universiade 2019 volunteers movement. A total of 1.5 billion TV viewers all over the globe will follow the competitions in Krasnoyarsk. Over 1 000 journalists will come to Krasnoyarsk to cover the Games in mass media.